Nordstrom has been rumored to have free rent at the City Creek Center. This deal was a preventative measure initiated to keep Nordstrom out of Gateway. The Apple Store was recently cannibalized from the Gateway and enticed to move to City Creek Center with the promise of seven years of free rent. 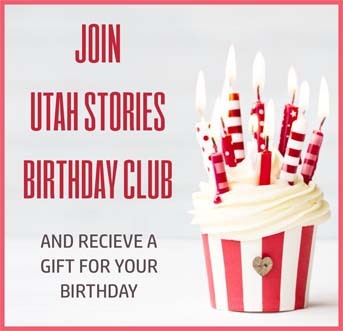 Another rumor we could dispel if Taubman would speak to Utah Stories is that they have offered free rent to corporate partners who are in their more successful malls. So from whom is Tuaubman collecting rent? Unlike the Crossroads Mall, which was friendly with local occupants, City Creek currently has a “freeze” on occupancy deals for local businesses. 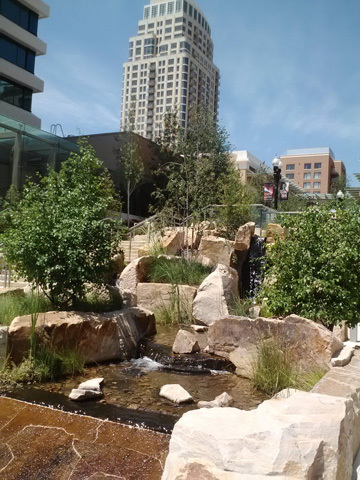 One successful business owner we spoke to had a deal in place to move into the City Creek Center, but for the past year he has received double-talk from Zions and Taubman. In the latest round he was told by the City Creek leasing agent that his application for space is “on hold” until further notice. Currently, the space he wants remains vacant while he waits to hear their final response. “My financials are perfect, I have great credit. I can’t think of any reason why they won’t want to lease to me other than that they just want to favor the chain stores over local businesses.” This business owner wished to remain anonymous for fear of ruffling feathers and killing the deal that he still hopes will happen. Today the Church, through Zion Securities has shifted from building wealth through cooperatives which supported trades and farmers, to working to build wealth in land speculation via retail cannibalization. 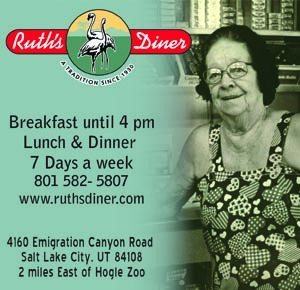 They have partnered with corporate America to bring Salt Lake City shoppers more chains and less local flavor; more reliance on Wall Street corporations and less on mom and pop shops. The economic engine that Brigham Young envisioned is exactly the opposite of the reality of the City Creek Center. A “reliance upon imports” which enrich outside interests is exactly what Young spent his entire lift fighting. This economic model which is becoming more common in cities across the nation is anything but Brigham Young’s vision for a tightly woven web of farmers, craftspeople and merchants, with shoppers supporting “home industry”. It’s sad to see the main retail component of Salt Lake City become far removed from its pioneer roots and simply a cog in the wheel for corporate America. But there is one aspect of City Creek that champions of local businesses can enjoy- Utah Woolen Mills. 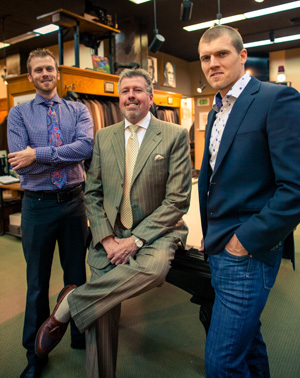 Utah Woolen Mills: Brandon, Bart and B.J. Stringham. UWM stood up to Zion’s Securities and has remained in their location despite the demolition of all the buildings surrounding their 100+ year-old family business. They stood up to Zions and demanded they keep their own parking lot and maintain their own building while City Creek built around their store. Owner BJ Stringham put it kindly, “The Church wanted us to leave so they could build City Creek.” But the Stringhams had a nice bargaining chip. In the 1970s the church demolished their mill and former retail area on Richards Street to build the Crossroads Mall. Out of the deal Wollen Mills was able to relocate inside their own building while leasing the land from the LDS church. They signed a 99-year lease on this property. Thirty-five years later after mall had died, they made it clear that they would like to remain facing Temple Square. BJ Stringham said that keeping their business open through construction required a series of “battles”. Woolen mills still enjoys their Temple Square frontage and a proximity to City Creek which allows them to operate their niche business in fine men’s and women’s clothing. The City Creek Center is now chock full of the latest and greatest of corporate fad retail: Forever 21 moved from Gateway to City Creek, Restoration Hardware, J.Crew, LOFT and American Eagle Outfitters (about a dozen shops total) were cannibalized from Trolley and Gateway into to City Creek.